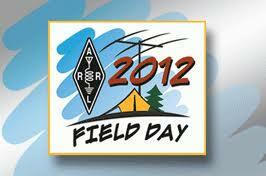 Field Day 2012 will be held on June 22-24th. Field Day is an annual event designed to test the state of readiness of the amateur radio community across the United States. The purpose of Field Day is to demonstrate the communications abilities of the amateur radio community to the public and to keep Amateur Radio Operators up to date in skills and operational experience. The event is a coordinated operating contest for amateur radio operators (also called "hams") in the USA and Canada who deploy their stations and operate on the radio for 24 hours continuously to contact as many other amateur stations as possible. Visit Field Day and see how amateur radio operators make contacts with other stations across North America using equipment deployed in a remote location with emergency power. The SARA station will use long distance propagation, shorter range communications with stations in Northern California using line of sight propagation, and possibly long range communications using a satellite. Visitors will also have the opportunity to listen-in and even operate the radios themselves with the guidance of experienced operators. Information will be available on how to learn more about amateur radio, and how to earn your license. Setup will occur on Friday, June 22, 2012. Setup is not open to the public. The public is invited to the contest itself. Communications will begin on Saturday, June 23, 2012 at 11:00 am and will continue until 11:00 am on Sunday, June 24, 2012. The entrance gate should be kept closed at all times. Participants and visitors to Field Day should close the gate behind them after entering. No parking is permitted that obstructs the fire road or trail area. Please note that the Field Day site, located in the Santa Cruz mountains, is both rural and remote. It is not wheelchair accessible and people with mobility issues may not be able to navigate the dirt road. Field Day 2012 Rules can be found online. View our 2012 Field Day flyer. 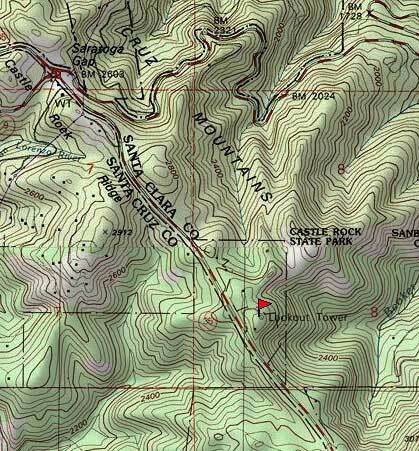 Directions: The Castle Rock State Park site is on the left, one mile south of Hwy 9 on Skyline (Summit) Road. (See location data below and topo map.) The entrance road angles to the left at 30 degrees so you have to turn around in the road turnout just beyond the entrance on the right. Look for the SARA Field Day sign!